Thanks to groundbreaking advancements in recent years, choosing to drive an electric vehicle no longer has to mean sacrificing on eye-catching style, invigorating performance, or cutting-edge technology. With more and more manufacturers fielding electric variants in their lineup, choosing between them can prove to be difficult. Germain Cars is here to help make your decision easier. We’ve selected our top picks across a variety of vehicle types and brands to help you choose the one which best fits your lifestyle and budget. Get ready for an entirely new way to experience all-electric travel with the striking 2019 Audi e-tron. Engineered with Audi DNA, the all-new e-tron delivers inspired performance with extended range capability, legendary quattro® all-wheel drive, and spacious room to suit your everyday life. Eye-catching styling accents include an ingenious Singleframe® grille, elegant LED taillights, and optional 21-inch alloy wheels for a powerful stance on the road. Step inside and you’ll be greeted by an upscale interior with room for up to 5 passengers along with 57 cubic feet of cargo capacity with the standard 40/20/40 rear seatbacks lowered. Owning an electric vehicle means no longer having to sacrifice on capability or performance. While the Audi e-tron can rocket from 0 to 60 MPH in only 5.5 seconds, you’ll also have the ability to tow up to an impressive 4,000 pounds. Its specialized air suspension offers driver their choice of 5 individual modes including an off-road setting for conquering rough terrain. A low drag coefficient of 0.30, perfected center of gravity, and instant torque response from two electric motors not only create an exhilarating experience behind the wheel — the all-new e-tron can travel an estimated 160 miles on just a 30-minute charge. 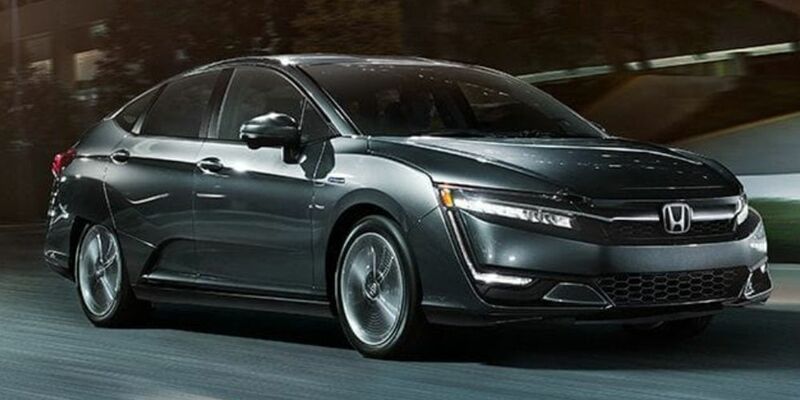 With the Honda Clarity Plug-In Hybrid you’ll receive all the benefits of a zero-emission vehicle combined with the flexibility and freedom of a gasoline engine. Simply plug-in, charge up for your commute, and experience smooth yet responsive all-electric power delivery. Range anxiety is a thing of the past thanks to its gasoline engine which delivers a 340-mile range combined with the electric power. In addition, the Clarity Plug-In Hybrid offers the space and comfort you’d find a midsize sedan along with an array of impressive standard features. Bring the power of your compatible smartphone along for the journey thanks to standard Apple CarPlay / Android Auto smartphone integration. Standard heated front seats let you stay warm on even the coldest winter mornings. You’ll always be protected from the unexpected with standard Honda Sensing® which includes a comprehensive suite of driver-assistive safety features. Craving a luxurious SUV that offers the efficiency of a plug-in hybrid? Mercedes-Benz has the answer with the GLC 350e 4MATIC. Drivers will experience the all-weather confidence from the proven Mercedes-Benz 4MATIC all-wheel drive system. You can enjoy up to 21 miles of all-electric range, less than 2.5 hours of charge time using a Level 2 connection, and a total system output of 315 horsepower. 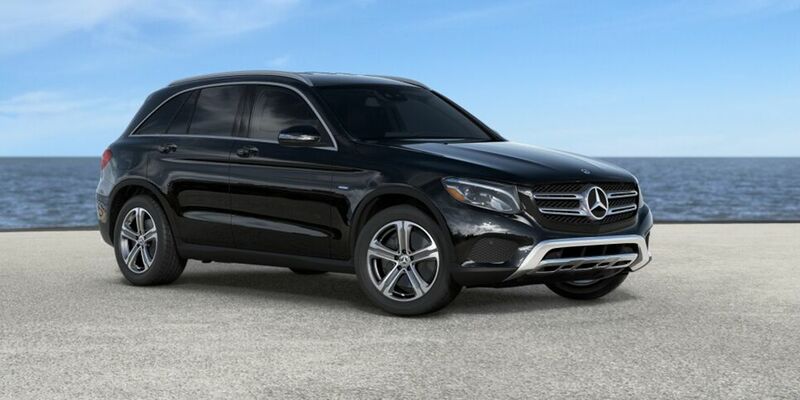 Offering more horsepower than the standard GLC, the GLC 350e also delivers a 74 combined MPGe rating. From its eye-catching exterior styling to a luxuriously-appointed interior, the GLC 350e 4MATIC redefines what it means to drive a plug-in hybrid crossover. Sophisticated design elements found inside the cabin include Natural Grain Brown Ash wood trim, a 14-way power driver seat with memory, 40/20/40-split rear seats with power folding, and dual-zone automatic climate control. A standard 7.0-inch color display and a central controller on the console serve as your hub for infotainment inside the GLC 350e 4MATIC. 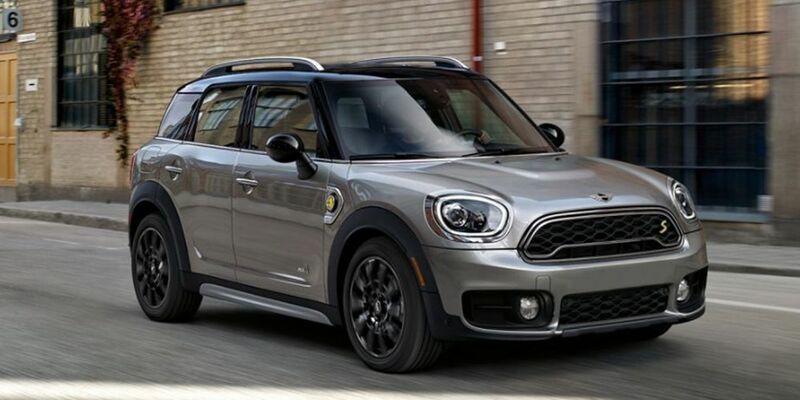 Take iconic styling and versatility and combine it with an advanced plug-in hybrid powertrain and the final result is the impressive MINI Countryman Cooper S E All4 Plug-In Hybrid. Its world-class TwinPower Turbo engine is paired with the instant boost of an electric motor for instantaneous acceleration while eAll4 all-wheel drive keeps things under control across a variety of road conditions. In fact, the Countryman Cooper S E All4 Plug-In Hybrid can rocket from 0-60 in just 6.7 seconds. 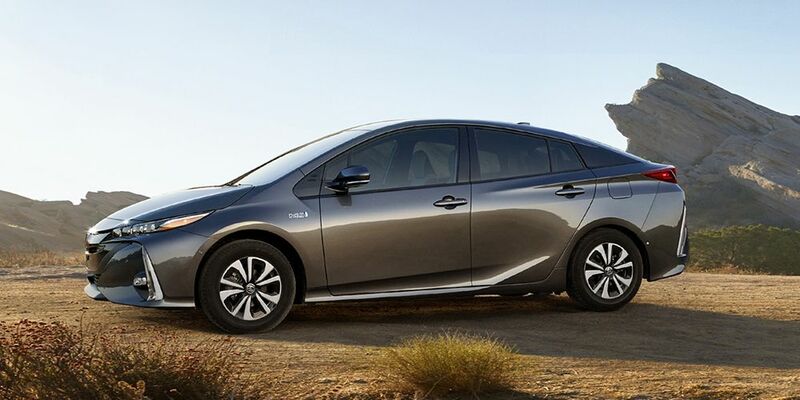 At the same time, you’ll enjoy up a combined rating of 65 MPGe. You’ll find plenty of advanced technology and convenience features on the Countryman PHEV as well. These include a rear-view camera, hands-free rear door access, MINI Connected with Bluetooth and 6.5-inch high-resolution display. Choose between three drive modes including Electric, Hybrid, and Save Battery to personalize your driving experience. Thanks to a 270-mile total range, you’ll have limitless possibilities to chase your next adventure. Perfected on the racetrack and bred for the roadways, the striking Porsche Taycan is an exhibition of the brand’s commitment to electrifying the future of performance driving. Pushing the limits of what an EV powertrain is capable of, the Taycan offers a top speed of up to 155 MPH and a combined system output of 600 horsepower. A cleverly-positioned battery is found in the underbody of the Taycan, helping it achieve an optimized center of gravity. This same battery position allows for groundbreaking inductive charging capability. Simply park the Taycan above the coil installed in your garage floor for power to be transferred wirelessly into the vehicle. Inside the Taycan, an ingenious eye-tracking system uses camera sensors to identify exactly which instrument the driver is viewing. Cockpit design elements are inspired by the very first Porsche 911. 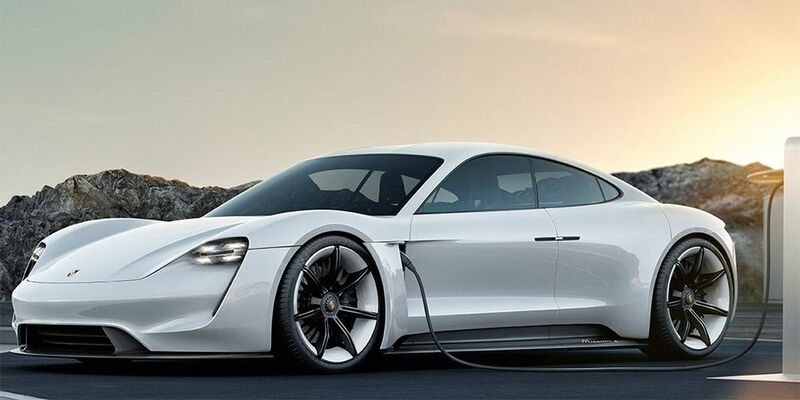 The Porsche Taycan is expected to set the benchmark for the high-performance electric sports sedan. As the most efficient Toyota hybrid ever, the Prius Prime has the power to run in either EV or hybrid driving modes. With a total driving range of up to 640 miles, the Prius Prime raises the bar for efficiency. Lightweight materials, advanced aerodynamics, and proven hybrid technology prove help you get the most out of every mile. Offering more than efficiency, the Prius Prime also offers eye-catching styling elements which include standard LED lighting, alloy wheels, and a carbon-fiber-reinforced-polymer rear hatch. Innovative technology features include an available 11.6-inch HD multimedia display, Intelligent Drive Coach, and a Remote Climate App each offer convenience and control not found in many hybrid vehicles. Driver-assistive features such as Intelligent Clearance Sonar, Intelligent Parking Assist, and a backup camera help take the guesswork out of backing out of a tight parking spot. Standard Toyota Safety Sense™ P (TSS-P) provides greater peace of mind and confidence behind the wheel of the Toyota Prius Prime. As the first fully-electric vehicle in the storied history of the BMW brand, the i3 boasts cutting-edge design, nimble handling, and the efficiency to transform a mundane commute into an adventurous experience. When equipped with the available Range Extender, the i3 has the ability to travel up to 180 miles solely using electric power. The i3 has the ability to charge with a standard household outlet (Level 1), a home-installed or public 7.4 kW charging station (Level 2), and can even receive an 80% charge in just 30 minutes at a 50 kW public fast charging station. Perfect for the eco-conscious driver, the BMW i3 is assembled in an emissions-free factory and uses sustainably-grown fibers and premium materials throughout the interior. A lighter, stronger alternative to steel — the body of the i3 features carbon fiber reinforced plastics (CFRP). 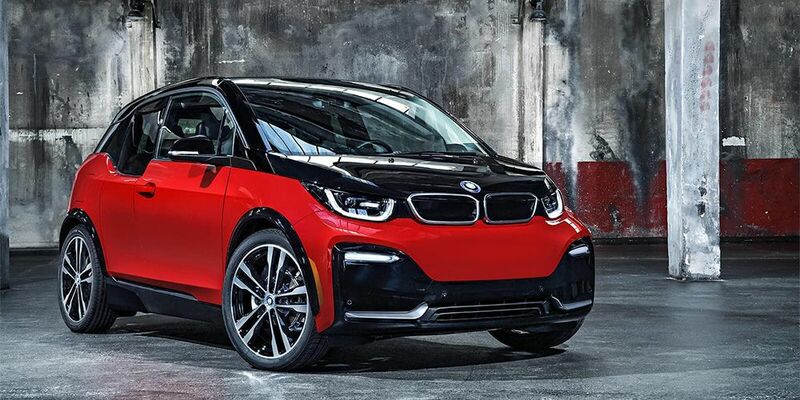 Bold exterior colors help your BMW i3 reflect a personality as unique as your own. 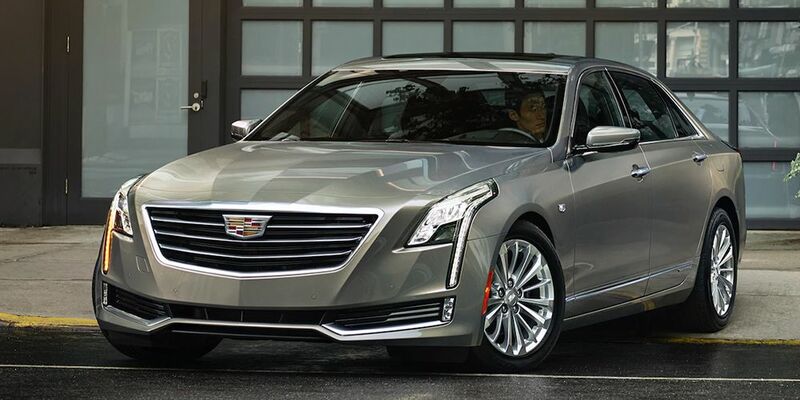 Innovation and style combined to help make the Cadillac CT6 Plug-In Hybrid one of the most striking luxury hybrid vehicles on the market. Offering strikingly similar performance numbers as the 3.0L Twin Turbo V6 CT6 models, the CT6 Plug-In Hybrid delivers 335 horsepower all while earning a 62 MPGe fuel economy rating. Regen On Demand® works to recapture kinetic energy normally lost during braking for later use in a lithium-ion battery pack. Thee individual drive mode settings allow you to tailor ride characteristics to suit your mood. Recharging a fully-depleted battery can take as little as 4.5 hours. You’ll also enjoy sophisticated connectivity and tech features inside the cabin of the Cadillac CT6 Plug-In Hybrid. A Head-Up Display, available Cadillac 4G LTE built-in Wi-Fi® Hotspot, wireless device charging capabilities, and The MyCadillac App™ are each examples of groundbreaking technology. Handcrafted design elements found inside the cabin include rich perforated leathers, exotic wood trims and Galvano chrome accents. 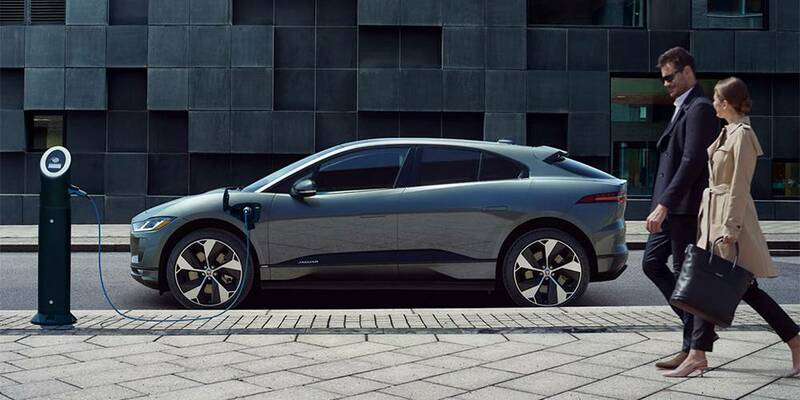 When designing the I-PACE, engineers worked tirelessly to ensure that the vehicle retains all of the iconic drive characteristics of a Jaguar. Inspiring to look at and thrilling to drive, the I-PACE is a pure Battery Electric Vehicle (BEV) which offers a 240-mile EV range and the ability to accelerate from 0-60 in just 4.5 seconds. Two permanent magnet synchronous electric motors work in tandem to provide power that’s both smooth and responsive. The I-PACE can achieve a 0-80% charge in 85 minutes using a 50 kW DC rapid charger commonly found at most public charging stations. Despite its compact footprint on the exterior, this impressive Jaguar can seat up to five passengers while still offering 25.3 cubic feet of rear cargo capacity. The interior features flowing lines, a simplistic dashboard layout, and tactile features for superior usability. A standard Touch Pro® Duo infotainment system keeps you in-sync with 4G Wi-Fi capability along with an array of connectivity features. 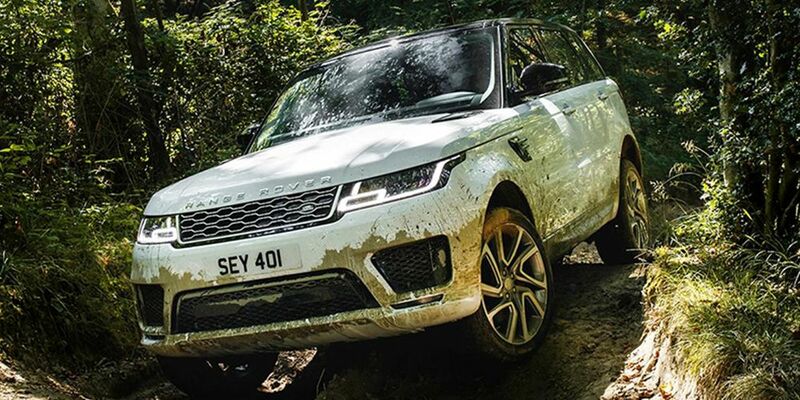 While known for their go-anywhere off-road capabilities, the Range Rover lineup has a fresh face that’s also easier on the environment. The Range Rover Sport PHEV is powered by an advanced 2.0L Turbocharged Plug-In Hybrid I4 powertrain that offers up to 31 miles of pure electric range. 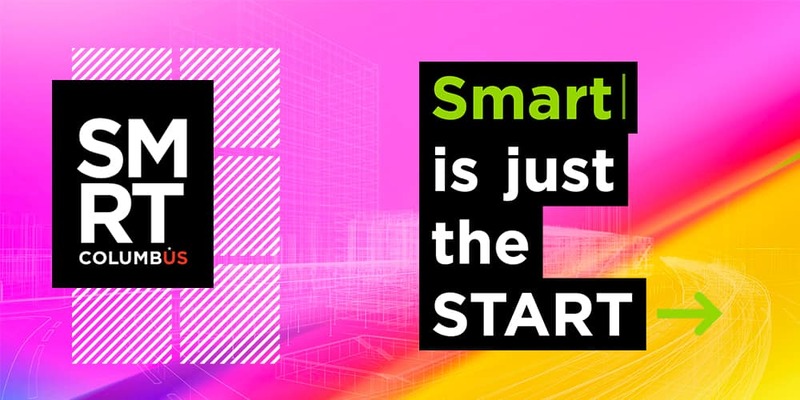 Innovative capabilities of this sophisticated system include Journey Charging, Destination Charging, and Timed Charging to help you maximize every bit of power. Using Timed Charging, only 8 hours are required to receive a full charge using a home charging cable. In keeping with the iconic Range Rover tradition of conquering the most inhospitable environments across the globe, the Range Rover Sport PHEV delivers 33.4 inches of wading depth. Short front and rear overhangs allow it to tread confidently where other SUVs fear to travel. The Land Rover Terrain Response System adds even more capability to the adventurous Range Rover Sport PHEV. Step inside and you’ll find a collection of infotainment options including standard Touch Pro™ Duo with Intelligent Plug-In Hybrid Display. The Germain Motor Company is proud to unveil Jaguar Easton’s collaboration with Smart Columbus. Together, our goal is to grow the Columbus region’s charging infrastructure while getting our local community excited about EV technology at the same time. Not only does it have a positive impact on our environment, but energy efficiency is also encouraging more and more drivers to make the switch to all-electric commuting. Through this partnership, we share a bright vision for the future of mobility in Columbus and we have big plans to make it a reality.